Mixing blade and mixer lining board are easy to wear. 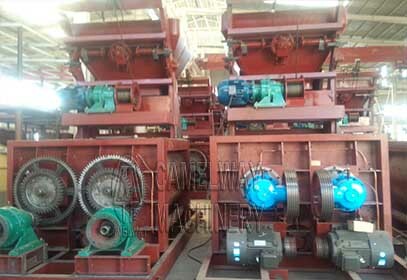 To improve the wear resistance and extend the replacement cycle can improve the mixing efficiency. So how to reduce the wear of lining board of mixer. Concrete mixer in the process of mixing aggregate, because sand for mixing wall will cause larger wear, so in order to reduce the wear of wall, you need to increase plate in wall. It can be divided into four types of wear and tear. (1) Corrosion and wear: under the condition of corrosion, it forms a layer of metal surface corrosion products, in the relative sliding, the layer will be ground away, make metal continue corrosion and wear. (2) The grinding wear. The wear and tear caused by material. If you have any questions, you can make contact with us. We will try our best to service for you.